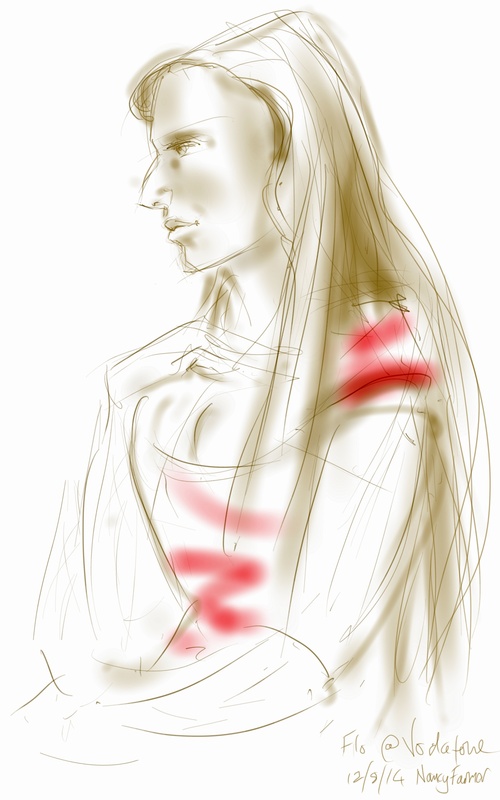 This entry was posted in People, Portraits and tagged art, drawing, drawing people, illustration, life drawing, portrait, samsung galaxy note 3, sketch, tablet sketch on October 4, 2014 by Nancy Farmer. 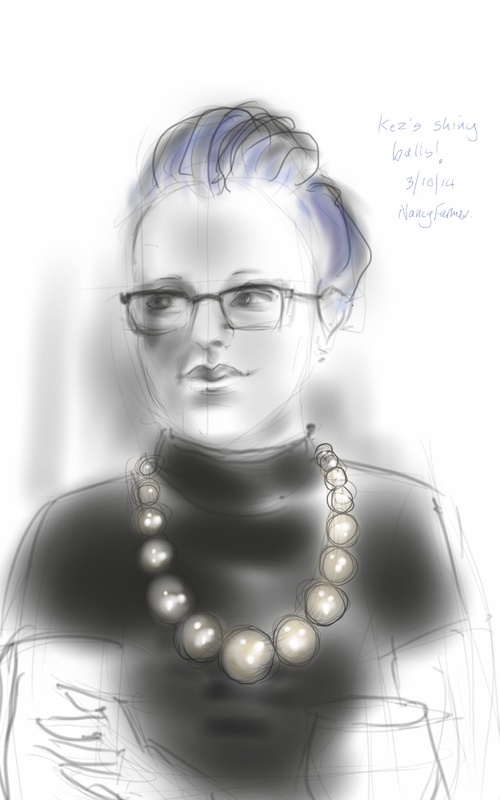 This entry was posted in People, Portraits and tagged art, drawing in the dark, drawing people, illustration, life drawing, life sketch, phone sketch, samsung galaxy note 3 on September 28, 2014 by Nancy Farmer. Couple of drinks in the pub tonight. Tony was explaining to Andrew how he can set his central heating with his mobile phone (amongst much other central-heating-related conversation). The conversation was so fascinating I thought the moment should be preserved for posterity. Had Percy been there I think he would have attempted to eat his own feet again. 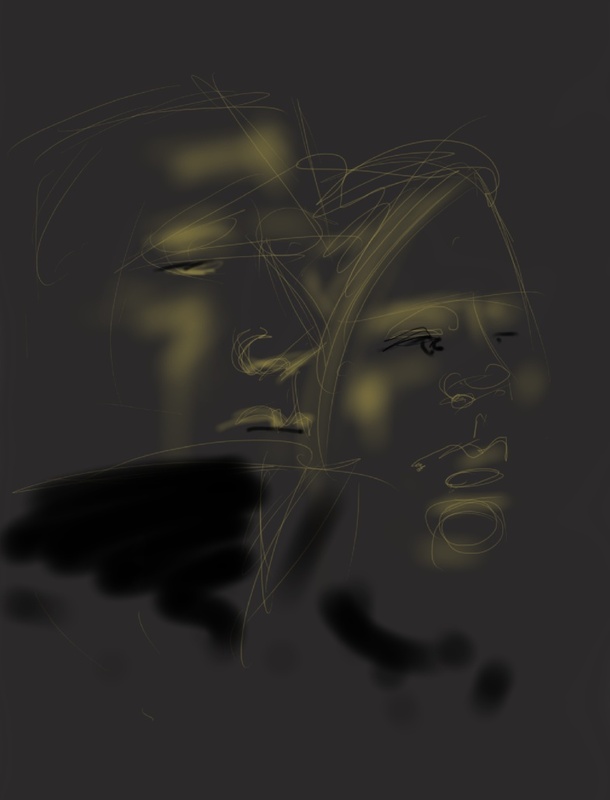 This entry was posted in People and tagged art, conversation, drawing, illustration, life drawing, people, phone sketch, samsung galaxy note 3, sketch on September 26, 2014 by Nancy Farmer. 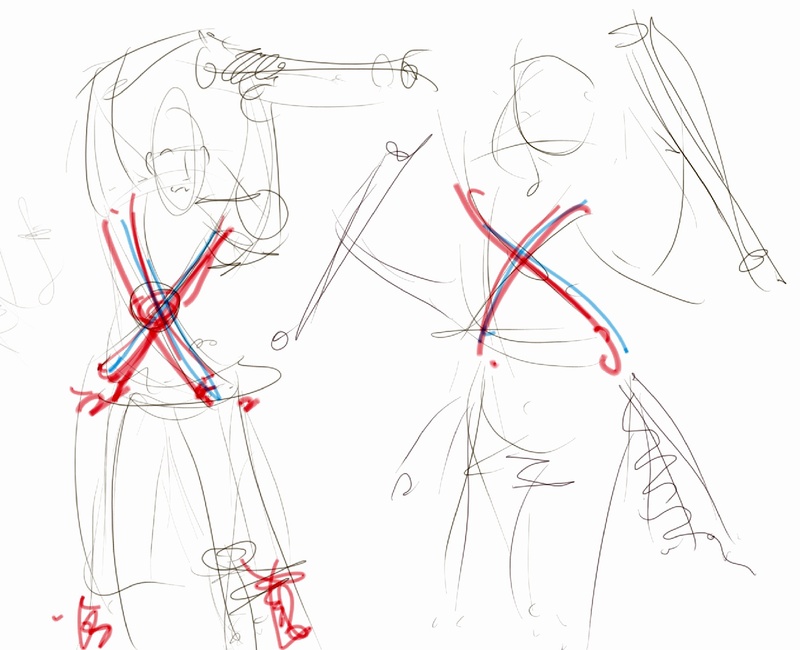 So, in additional scribbles-of-the-day there have been Morris Men… unfortunately they do not stay still ever, and each time I started drawing them with handkerchiefs, they switched to sticks, and when I drew them with sticks they switched back to handkerchiefs again. All the same, a jolly time was had by all, especially as Thursday is Pie Night, and that in itself is a thing to be highly recommended. 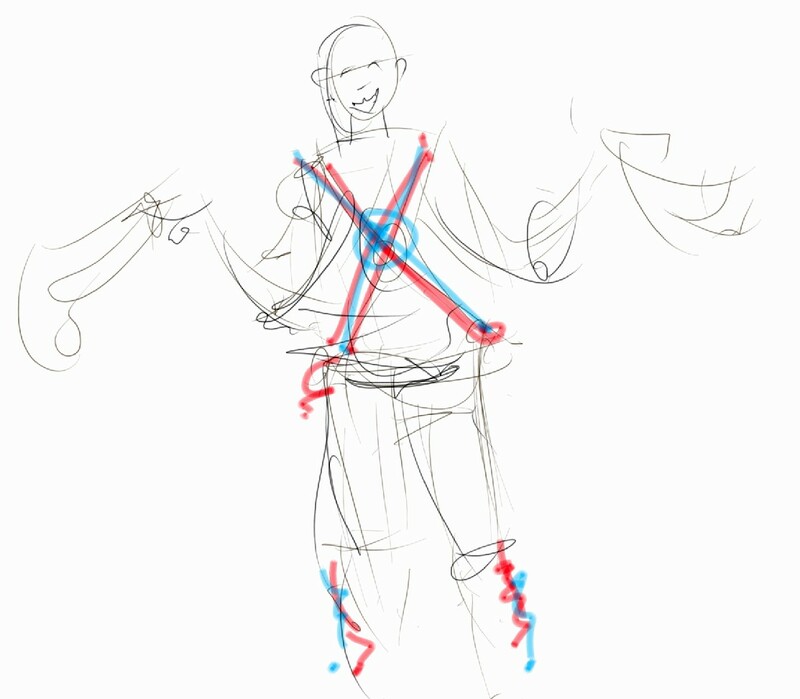 This entry was posted in Events, People and tagged art, drawing, illustration, life drawing, morris dancers, Morris men, phone sketch, samsung galaxy note 3, sketch on July 17, 2014 by Nancy Farmer. Josie (my niece) and her friends on the tube on the way back from Josie’s birthday outing up the O2 dome. They were playing some kind of clapping game involving the repetition of a certain rhyme involving snot in the jungle. There was quite a lot of squealing and absolutely no sitting still…. 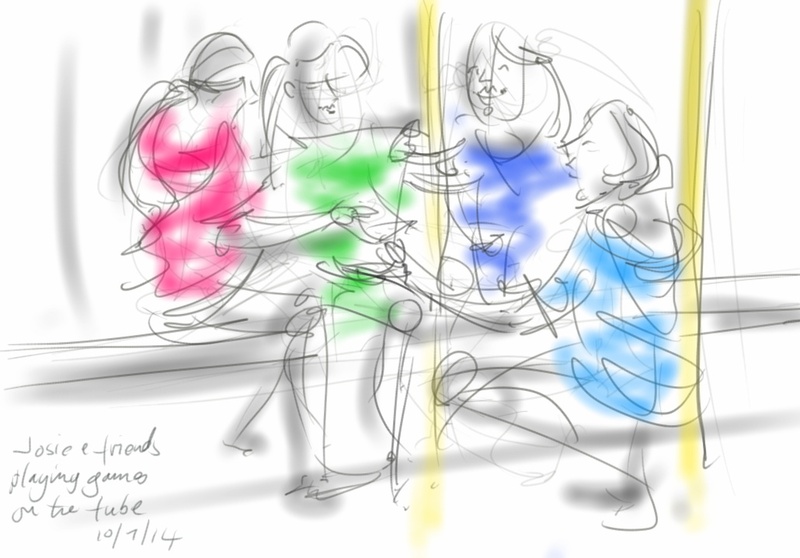 This entry was posted in Events, People and tagged art, children, children playing, digital sketch, drawing, life drawing, phone sketch, samsung galaxy note 3, sketch, tablet sketch on July 10, 2014 by Nancy Farmer. 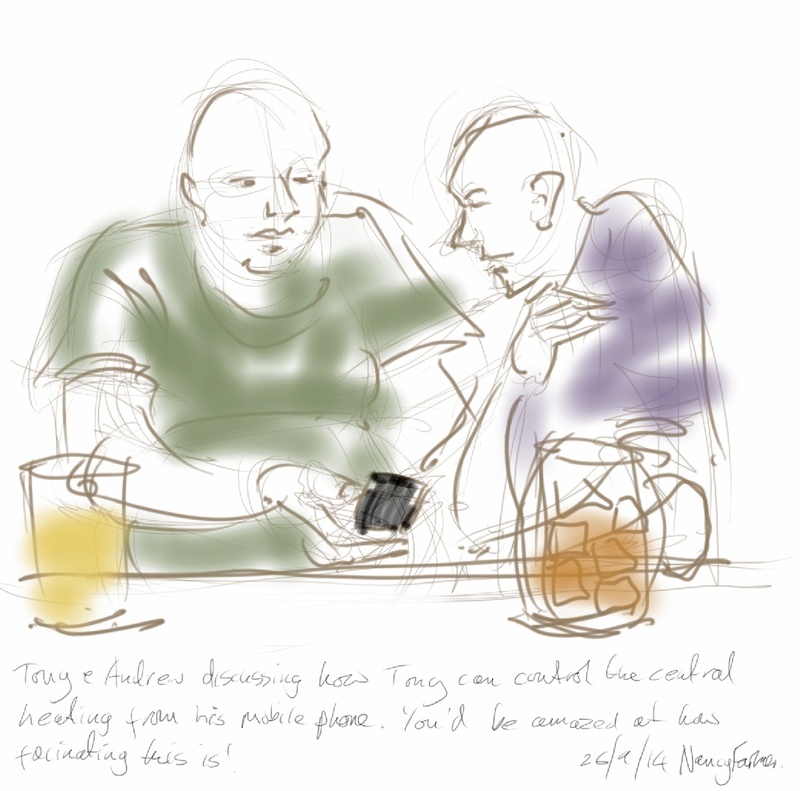 Often I see something, or someone, whilst out and about, that seems to need committing to sketchbook, just because. But these are things that are usually fleeting, and would have to be drawn from memory. Never got round to it until now. 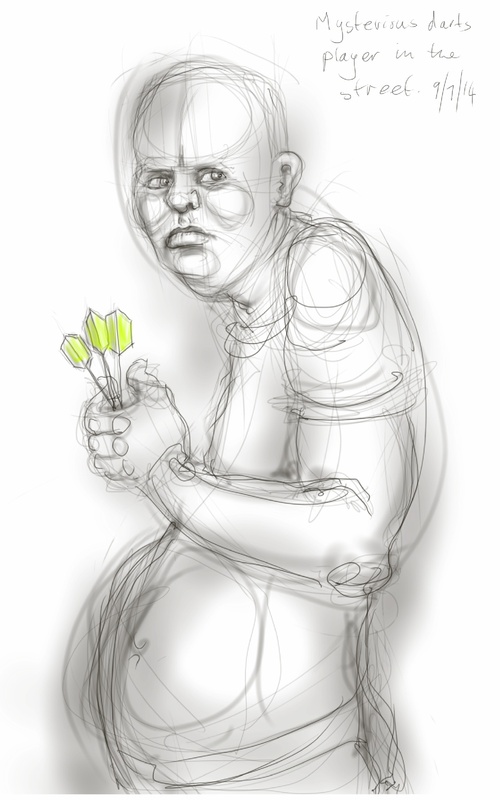 Apologies to this chap, but he was odd, standing there in the street with his fist-full of darts and no dartboard. It is not a flattering sketch… on the whole I do not do flattery, unless you are a cat. This entry was posted in People, Portraits and tagged art, caricature, darts player, drawing, illustration, life drawing, portrait, random, samsung galaxy note 3, tablet sketch on July 9, 2014 by Nancy Farmer. Stiletto was a hard cat to draw: in her last year she had become very thin and I took to feeding her up on what she liked: the most basic of Sainsbury’s cat food. If she saw me looking in her direction she would come up and demand tins of cheap cat food (as opposed the the expensive healthy biscuits she had had all her life). It was like an elderly lady who discovered, in her eighties, the existence of cream buns. She put on weight again for a while, which was good, but I hardly ever got a good sketch of her because she wasn’t content to sit still if she saw me looking at her. 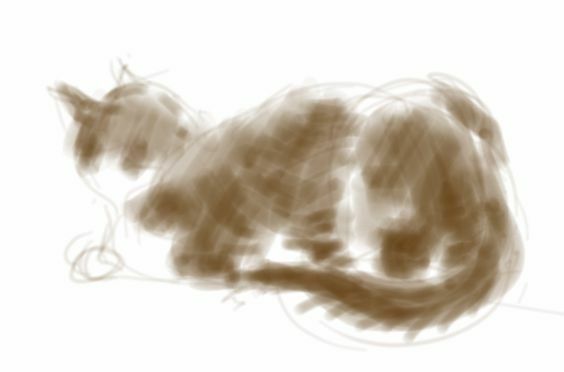 So this is an unfinished sketch of a cat who, as you will have guessed from the tone of this post, is no longer with us. From unpromising beginnings (being found with her sister dumped on a rubbish tip), she has been the survivor. We took those two cats in, along with a black and white boy as well. That was in London, and they were house-cats then as it was never safe there, outside. We moved to Somerset 12 years ago or more, and this most timid of creatures took to the outside world the first of the three, ate up all the moles in next door’s garden (earning herself some quantity of tuna from a grateful neighbour in the process), and never looked back. But I never made a satisfactory drawing of her, so this one will have to suffice: Stiletto, unfinished…. She was 17. She had a good life and I like to think she passed on tales of the world she had known to the Ginger Boys, who will remember her. This entry was posted in Cats and tagged art, black and white, cat, cat-of-the-day, illustration, life drawing, phone sketch, samsung galaxy note 3, Stiletto Cat, tablet sketch on May 26, 2014 by Nancy Farmer.